It last usually 2 to 3 years as is depend on the plant. When the roots of plants are coming out of mossball, it is a sign to remake it or replant it to bigger place. To remake, simply take out the moss by cutting the wire and remove the moss, cut the excess roots, add appropriate soil and rewrap with green moss. Plant didn’t make it… Can I reuse the moss-ball part? Yes, you can reuse by planting succulents. It will be cute succulent kokedama. Is the moss-ball part get bigger? No, plant will grow but not moss-ball size. Roots may come out from moss-ball. You can simply cut it or remake the kokedama if the roots come out too much. Kyoto Moss Spore was applied on my Kokedama. 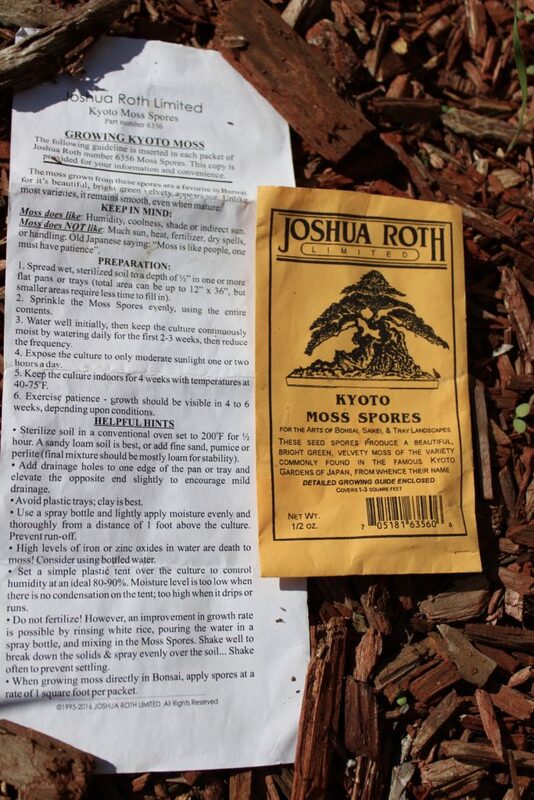 If your kokedama was applied Kyoto Moss Spore, refer below instruction to grow live moss!